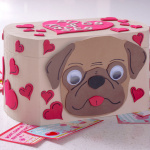 If you're looking for ideas for valentines day cards for kids, you'll love this handmade decoupage card. 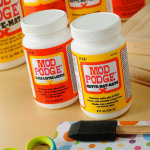 It's so easy and requires minimal supplies! 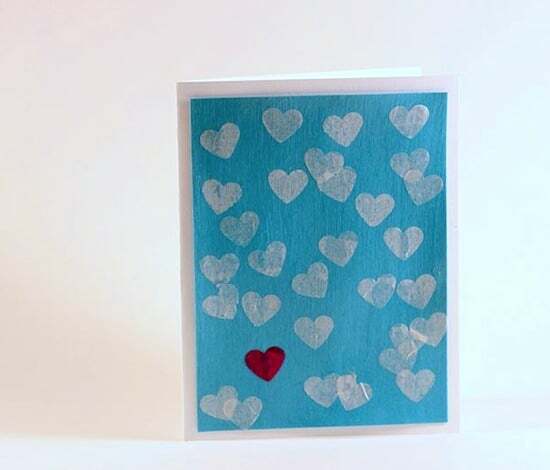 Handmade cards are a sweet way to send a personal message on Valentine’s Day. 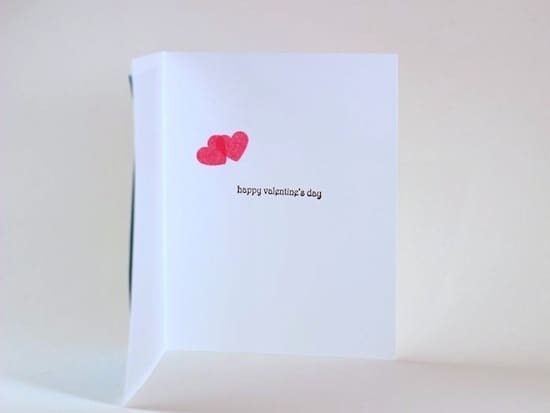 I enjoy making valentines cards, and I’ve always wanted to create easy greeting cards with decoupage and layers of tissue paper . . . so why not make one for my Valentine. 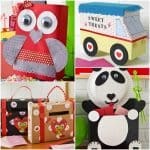 If you're looking for ideas for handmade valentines day cards for kids, this is a great option. It's so easy a child could do it! Amy’s My Aqua Valentine series last year inspired me to combine the blue and fuchsia colors in this card. And a little neon confetti notebook that I made this summer is the reason I covered the card with scattered hearts. 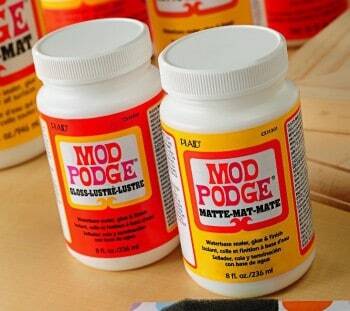 Here's how to make handmade valentines day cards with Mod Podge! Step 2. 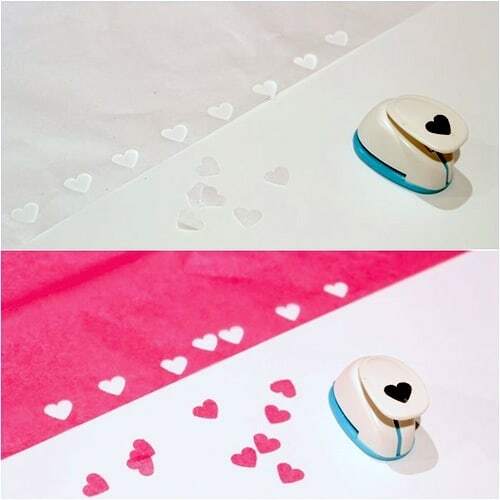 Use a paper punch to make a bunch of little hearts from white and pink tissue paper. Step 3. 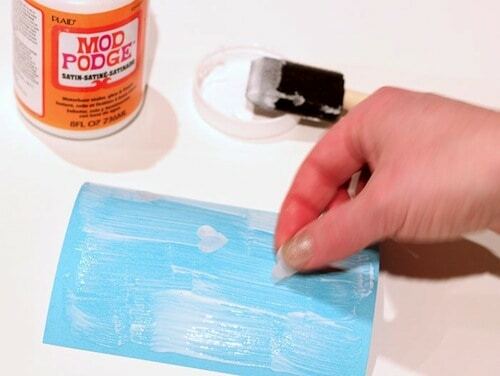 Apply a thin layer of decoupage to one side of the blue paper. 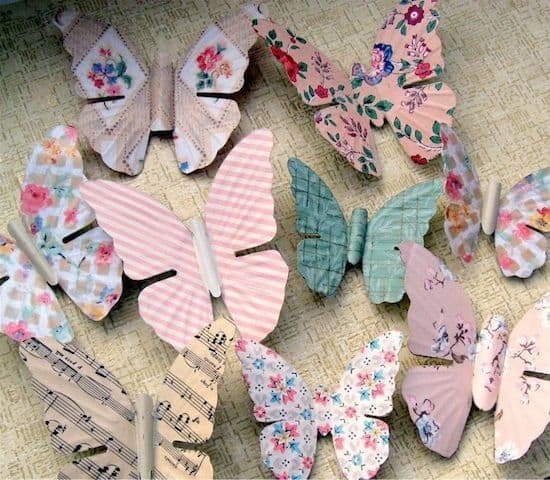 Working quickly, drop the little hearts into the decoupage. I laid mine down randomly and didn’t really have a pattern in mind (because I live dangerously like that, haha!). I used only one little pink heart so it stood out from the white shapes. Step 4. 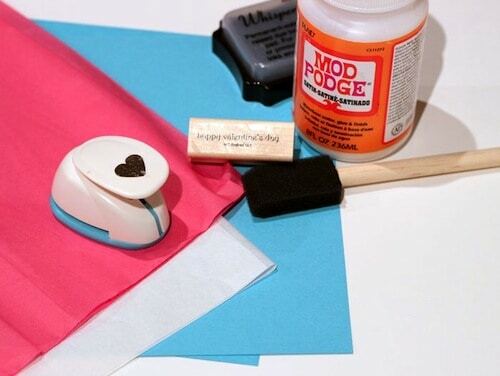 After the Mod Podge Satin dries, apply another thin coat of decoupage over the tissue paper hearts to seal and protect them. 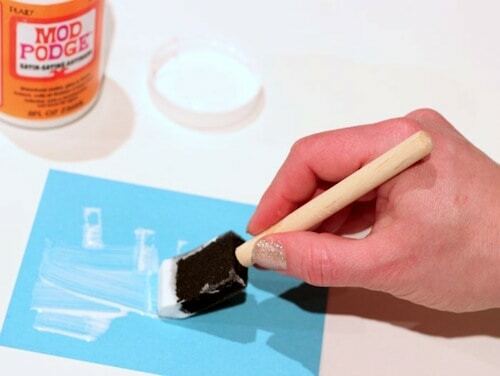 Allow that layer to dry. Step 5. 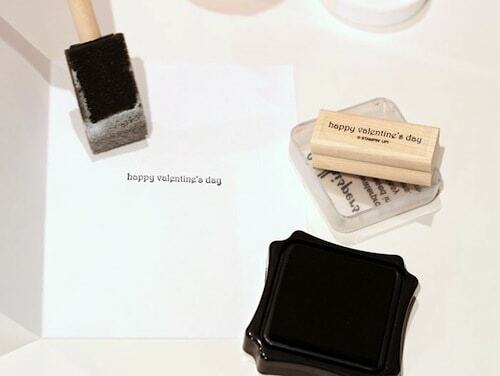 Stamp a sweet sentiment on the inside of the card. 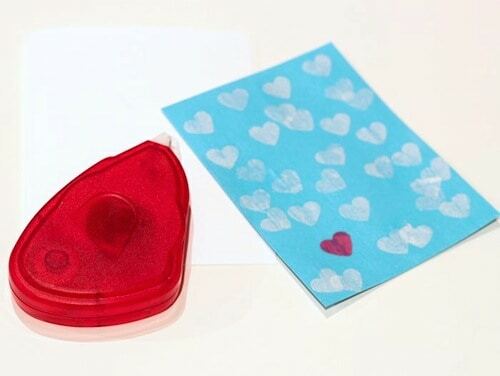 If you want, apply a little decoupage and a couple of pink hearts on the inside of the card, too. 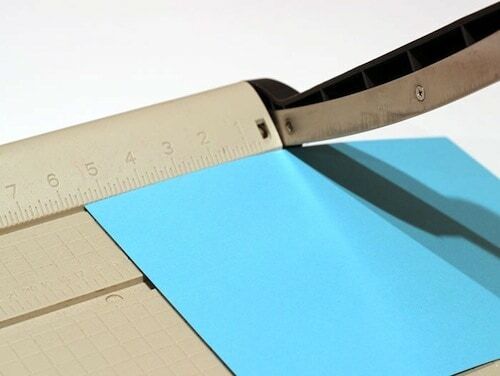 Step 6: Use double sided tape or scrapbook adhesive and attach the blue panel of paper to the front of the card. Sign the card and give it to your sweetheart! So simple! 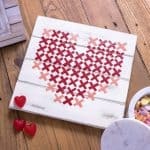 I’ve never made a valentines card with decoupage before and I really liked how easy it was to create! 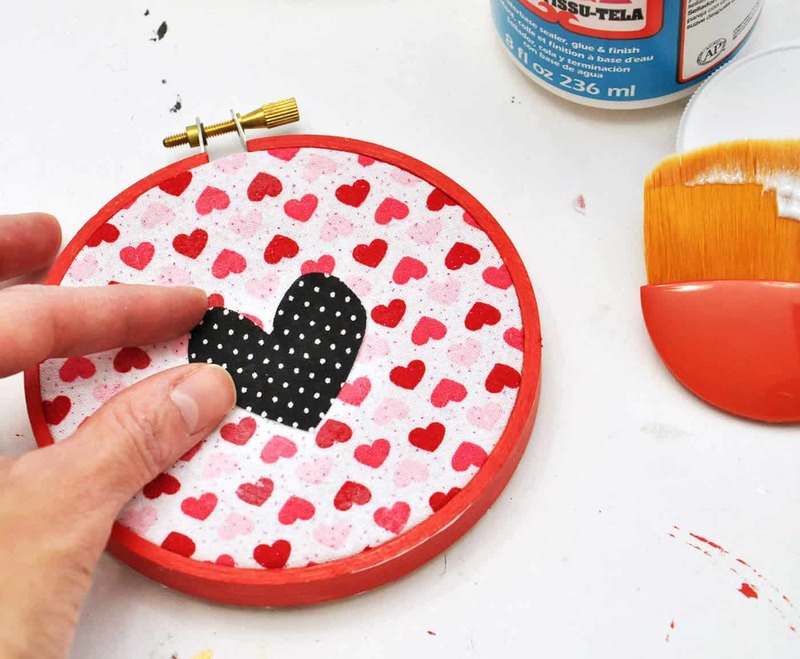 The brushstrokes within the decoupage give my Valentine's Day card character and a ‘handmade’ texture. And I love the translucency of the tissue paper layers. 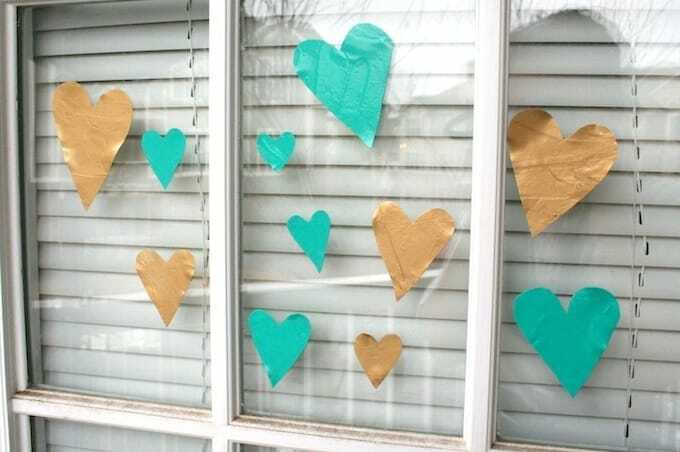 I bet it would be pretty to use multi-colored papers and other shapes, too. I can’t wait to make more cards like this for other holidays!